In the USABDA arena, a senior is someone who is fifty-plus. The athletic ability of the older dancers is remarkable. The lifts, spins and all the other steps the younger kids are doing are demonstrated with pleasure filled eyes and smiles. Kleinrath needs no change of apparel. He is dressed in a tuxedo that serves as a standard outfit for men competing in the smooth dances like the waltz, tango and foxtrot. I tap him on the shoulder and ask for an interview. Despite the tails, he still gives the appearance of an eagle scout. Kleinrath stretches every inch of his 510 skyward. His chestnut colored hair is combed flat. And his brown eyes dance with delight. Kleinraths boyish grin also reveals an eagerness to do his duty – to share the joy of ballroom dancing after fifty. Did the former dentist always dance? He chuckles and shakes his head. No. Twelve years ago, after a divorce, I went to my first ballroom dance class to meet women. He may not have encountered the female fantasy of his dreams; but Kleinrath fell head over heels in love with ballroom dancing! Singleton may whip up an irresistible béarnaise in the kitchen. But on the floor the duo really cook! By evenings end, the couple cleans up with a first place trophy in the Championship Senior American Smooth (waltz, tango, Viennese waltz, foxtrot) category. 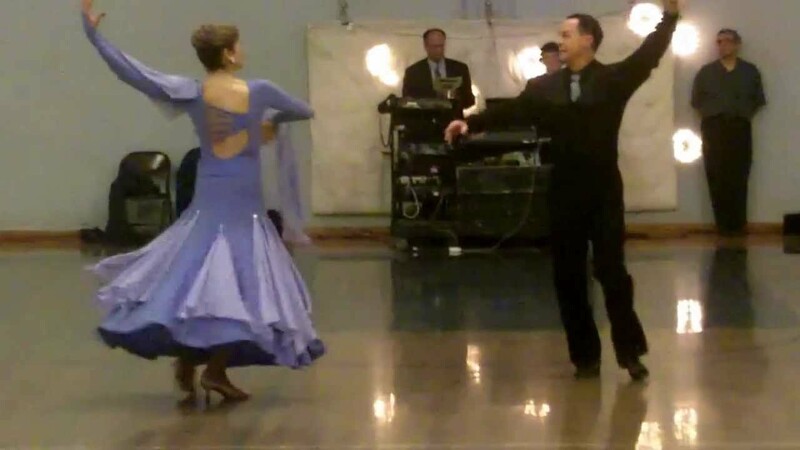 When competing with the thirty-somethings in Division B of the International Standards (which includes quickstep and the American Smooth dances with different rules about footwork and frame), the duo pick up a second place trophy. Also, the teams choreography is unforgettable. In the middle of a waltz, Kleinrath will lift his lady into the air like an older Baryshnikov. During a tango, Singleton flicks the skirt of her burgundy velvet gown (with a river of silver running through it – reminiscent of a Z) to create a Zorro-esque sweeping action. From divorce to doing the tango with a devastatingly dazzling brunette and from novice to national dance champion, James Kleinrath proves there is wisdom in the adage, Practice makes perfect in the twilight years. Kim Knode’s interview articles focusing on artists, celebrities and dance champions have been published in various print and on-line publications. PreviousPrevious post: Memorial Day Weekend, One To Remember, for sure!